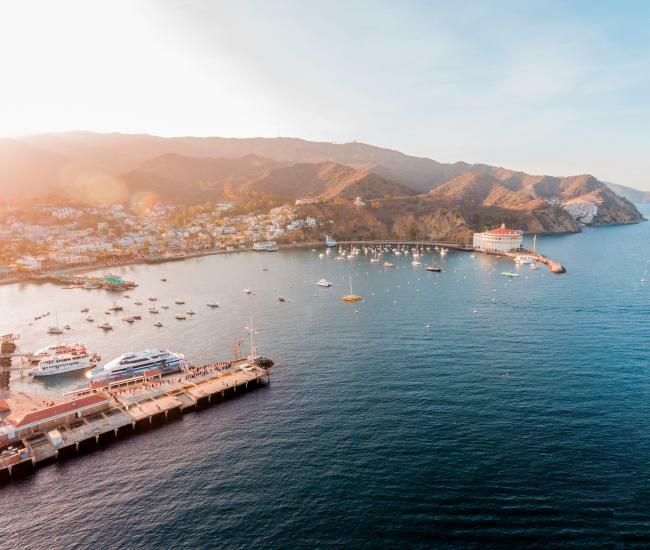 With about 10,000 years of human history, Catalina Island offers a fascinating glimpse into the past, providing history fans with a unique opportunity to learn more about everything from native culture to pop culture. No history lover’s visit to the island is complete without a stop at the Catalina Island Museum, where those many millennia are chronicled in a series of intriguing exhibits. The museum is far from the only place to discover history on Catalina Island, here are seven Catalina locations brimming with time gone by. Soapstone Quarry – One of the most enduring historical sites on Catalina Island is accessible via a short hike from the Airport-in-the-Sky. For thousands of years, soapstone, or steatite, was an essential component in the lives of native islanders, known as Tongva. They used it to create utensils, hunting implements, decorative items and bowls, which they both used themselves and used for trade with mainland peoples. Just about a quarter mile from the airport, Catalina history lovers will discover a soapstone quarry, where Tongva craftspeople extracted this important resource. Civil War Barracks – One of the oldest buildings on the island is located in Two Harbors, at the West End of Catalina Island. In 1864, as the Civil War raged across much of The South, the Union Army sent 83 soldiers to the island. While their actual reason for coming here has been lost to history – theories range from securing to West Coast against the Confederates to confining hostile Northern Californian native tribes – their legacy lives on in the form of barracks they constructed. Now used and maintained by the Isthmus Yacht Club, the Civil War Barracks are an enduring monument to the long reach of a war that split the country. 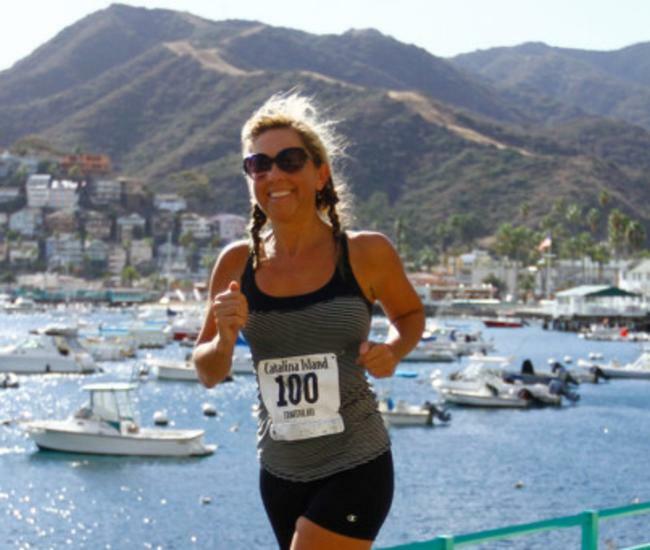 Catalina Casino – Catalina Island’s most distinctive landmark holds nearly a century of history. Built on the site of an earlier dance pavilion known as the Sugarloaf Casino – which was moved up the canyon and can now be found housing pre-schoolers at Avalon’s PLAY preschool – the current Catalina Casino was constructed in 1929. The Moorish masterpiece houses one of the first theaters designed for talkies as well as a massive circular ballroom. In its heyday, the ballroom hosted thousands of Big Band fans for concerts and dances that were broadcast across the nation and the theatre played host to Hollywood’s elite both on screen and in the audience. Take a closer look at the history of this Catalina landmark on a tour or see a first-run film, which are screened nightly. Mt. Ada - Perched high above Avalon, the former Wrigley mansion is now one of Catalina Island’s top accommodations. 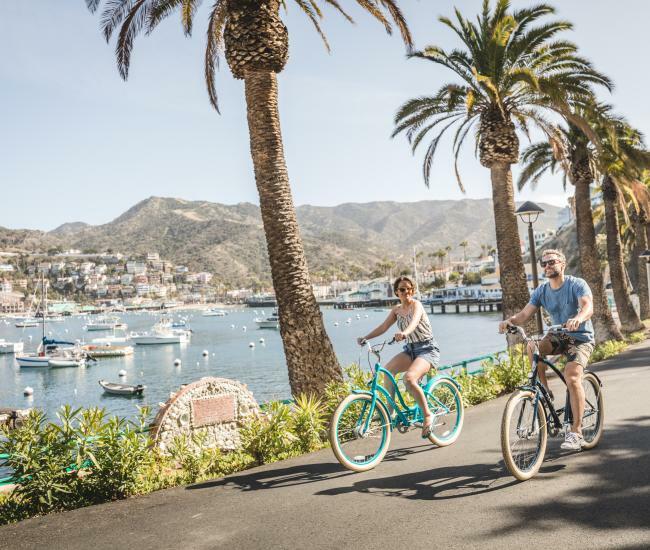 For decades, it was the part-time home of William Wrigley, Jr. the visionary businessman who transformed Catalina Island into a world-class vacation destination. From his home on the hill, Mr. Wrigley could oversee construction on the many improvements he commissioned for the island, see the field where his beloved Chicago Cubs spent spring training season for decades and gaze upon the Catalina Casino, which he had built and which quickly became an icon. Machine Gun Park – Avalon’s World War II history spans just a few short years, but they were impactful years. 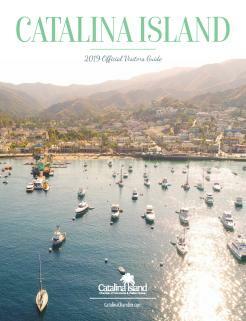 Most Catalina residents departed the island and its role as vacation paradise was transformed. Thousands of men were likewise transformed and those that came to Avalon became Merchant Marines. You’ll find a nod to that history at City Park, commonly referred to as Machine Gun Park due to the historic gun emplacement that stands as homage to the sacrifices the war demanded. Toyon Bay – Like Avalon, the rest of Catalina Island was pressed into service during the war. While the Merchant Marines were training in Avalon, the Coast Guard took over Two Harbors and the Army had various outposts around the island, but what happened at Toyon Bay had major implications for American foreign policy that continue to this day. The nascent Office of Strategic Services held many of its initial training sessions at Toyon, where frogmen used new scuba technology and commandos developed deadly skills to deploy behind enemy lines. Today the OSS has become the CIA, and the agency’s buildings and training ground are now the popular marine science camp known as the Catalina Island Marine Institute.